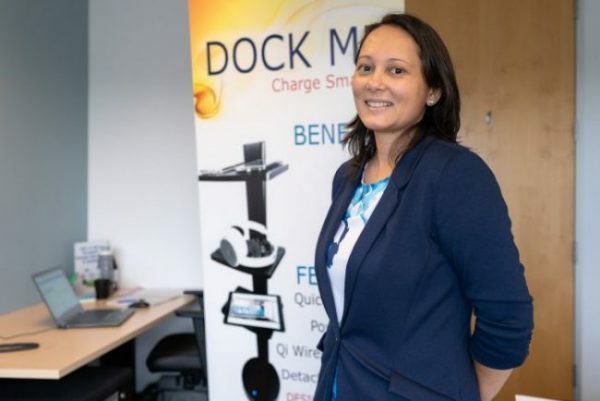 The Eastern Ontario Regional Innovation Centre officially opened its doors on March 31, eagerly welcoming equally keen entrepreneurs who need help with launching their start-ups. The centre, part of the Ottawa Centre for Research and Innovation (OCRI), had a soft launch in October 2010 and OCRI is now working on marketing its to business start-ups in the region, which extends to smaller cities and towns surrounding the nation’s capital. Despite the centre serving a seemingly specific region, the majority of entrepreneurs are pitching ideas for a global market, says Michelle Scarborough, managing director of the RIC. “You would be amazed at some of the things that we see!” she says. But tapping into your local area might be best for finding investors and growing your company. The idea for the centre has been in the works for a long time, Scarborough says. Around the same time that OCRI was discussing a centre, the Ontario Ministry of Research and Innovation was making moves toward similar goals and provided funding for the initiative. The ministry has promised a minimum of $2.25 million over the next three years. Start-ups can use the centre’s services free of charge. Advisors coach the new businesses about financial planning, finding investors and will also help with market research towards launching the product or service. The centre also provides mentorship for the start-ups’ chief executive officers. “Everything that we do is based on what the market demands,” Scarborough says. “It’s important that the people that deliver the program have the right skill sets,” she says. The first step is to figure out whether your product or service is commercially viable. Even if it’s not working the way you want, you need to show that you’re trying hard. “We’d look at whether you’ve put more thought into it than a napkin drawing,” she says. “Business building is a creative process,” she says. The model that OCRI came up with has expanded across Ontario. Guelph, Sudbury and Waterloo now have similar innovation centres, which have similar models but different strategies depending on the community and its strengths. Grant Hall, CEO of Ottawa-based Nuvyyo Inc., worked first with OCRI and now with the regional centre to help launch his product, JetStreamHD, a combination of software and hardware used to stream content onto mobile devices. “I thought that was tremendously useful,” Halls says of learning to navigate through the funding process. His past experience was in the corporate world, so entrepreneurship was new ground for him, as well as for his business partners. “We have an advisor who we meet with weekly and we discuss what our priorities are and where we are as a company,” he says. The advisors also helped with specific applications for funding when the time came. The people within the centre’s network also have relationships outside of the local arena, he says. For Hall, he can tap into the markets in Montreal, Toronto and Waterloo, not just Ottawa. That’s why having support for commercialization of a business is so crucial, she says. Then, businesses can stay in Canada before thinking they may have to take their ideas elsewhere, she says. In fact, similar innovation centres exist all over the country. SpringBoard West Innovations Inc. has operated in Saskatchewan since 2007. It deals specifically with tech start-ups looking to bring their ideas to market. “At the pace at which technology moves, a new entrepreneur cannot really afford to make any mistakes,” says Susan Gorges, CEO of SpringBoard. “There’s an incredible thirst out there for a connection between the new entrepreneur and the seasoned entrepreneur,” Gorges says. “As a brand new company, the hardest thing I’ll ever do is get a phone call returned,” she says. Services offered by SpringBoard and similar centres can open doors for new businesses, she says. SpringBoard keeps track of how many hours its staff has worked on a client’s project, but does not invoice the start-up until it has launched successfully. “We can’t be eating up their cash,” she says, which is why they wait to charge for their time. SpringBoard negotiates a payment plan with each individual business. If the start-up is for whatever reason unsuccessful, they don’t pay. Since its inception, SpringBoard has helped several companies in different areas succeed and OCRI is looking to do the same. For brand new entrepreneurs, Hall recommends tapping into regional innovation centres for help. “It’s enormously useful in helping you connect with the right individuals,” he says.